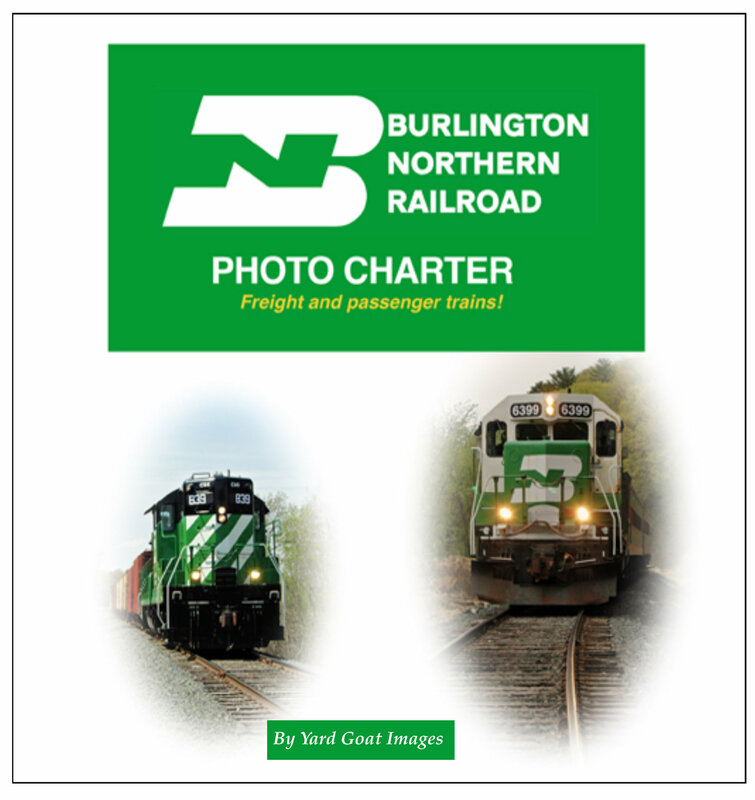 Our Photo Charter took place on former Soo Line tracks in western Wisconsin and eastern Minnesota, now operated by Canadian National. The Minnesota Transportation Museum’s Osceola & St. Croix Valley Railway runs trains here on weekends and special occasions. Two surviving BN diesels were used for our Photo Charter. SD9 #839 was built in 1959 for Burlington Route subsidiary, Colorado & Southern, by the Electro-Motive Division of General Motors. BN 6399 is an SD-P40 constructed by GM’s Electro-Motive Division for the Great Northern in 1966 as #325. Aside from some raindrops in the early evening, it turned out to be a fine springtime day to remember the Burlington Northern! BN Photo Charter from Yard Goat Images on Vimeo.